We installed vertica client install for client system having 32 bit . We have created ODBC connection through ODBC Administrator. We tried with installing informatica plug in provided by vertica,while executing the workflow session is failed and not displaying any error. 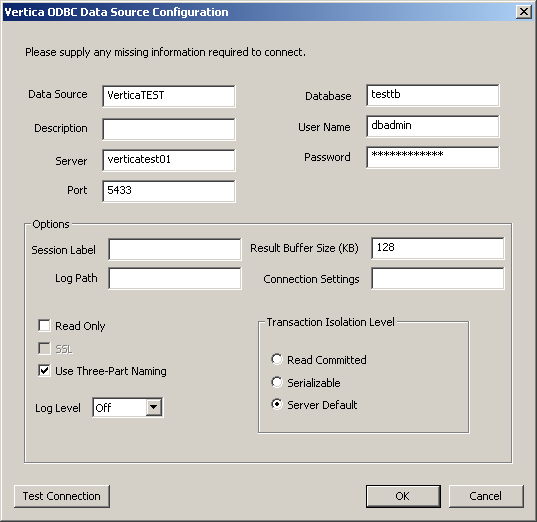 And also i have attached another error occurs as set routine for the vertica ODBC . Please let me know if you need further information about this issue. What version of Informatica are you running and which version of Vertica's ODBC driver did you install? Did you test the ODBC connection from the Admin Tools/ODBC Data Source Admin/Configure screen? I am also facing the same error while importing data from Vertica in Informatica through odbc connection on 32-bits windows platform.. I am using Informatica 9.1.0 and Vertica 6.0. Kindly help me in this issue.